Albany Used Cars customers love the no pressure sales experience at Quinn Motor Cars. 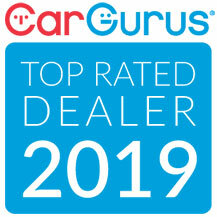 Here at Quinn Motor Cars one of the Albany Used Cars Dealers in your area, our mission is treat every visitor like an honored guest in our home, but to the Albany customers we serve it is much more than a mission statement. Our West Sand Lake Used Cars customers quickly learn that shopping at Quinn Motor Cars means being treated with respect and not having to negotiate or visit multiple West Sand Lake Used Cars Dealers to get the price you deserve. Being treated like family means that when shopping at Schenectady Used Cars Dealers such as Quinn Motor Cars, you’ll get real price quotes on the Schenectady Used Cars you’re looking for when you request it. These ways of doing business have helped us stand out from Schenectady Used Cars Dealers and our Used Cars Schenectady customers here in Schenectady and throughout the entire state of New York choose Quinn Motor Cars. At Quinn Motor Cars we also consider ourselves to be one of the premier Used Cars Albany dealers as well. Quinn Motor Cars maintains a large selection of quality Used Cars West Sand Lake driven vehicles for used West Sand Lake shoppers to choose from. At Quinn Motor Cars we believe that all customers deserve quality, reliable Used Cars Albany vehicles and we have the inventory and finance options to make it happen. We also welcome you to our Used Cars Service Albany center for all your maintenance and repair needs. Please continue browsing our website or visit us at our dealership, conveniently located at 3502 NY Highway 43, West Sand Lake, NY 12196, or call us at (518) 674-4007.